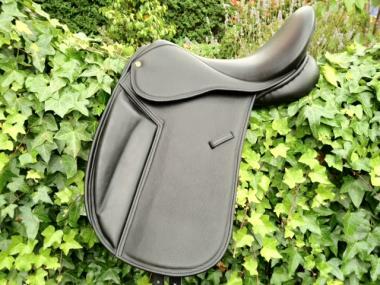 YIN-YANG OLYMPIA mono/single flap, close contact, Dressage Saddle. 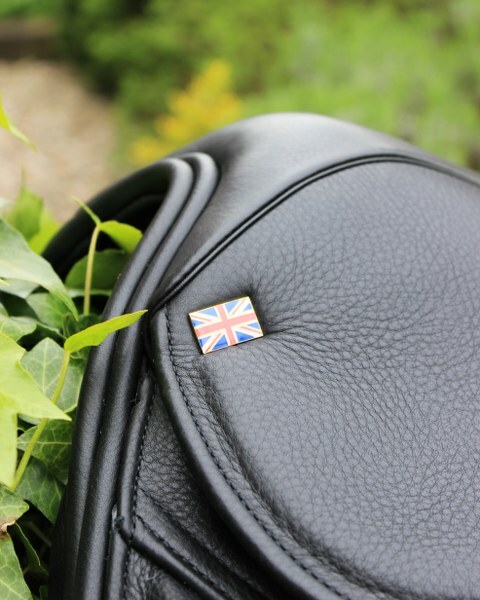 This stunning new saddle was designed in celebration of, and inspired by, our magnificent Olympic and paralympic games in London 2012. WELL DONE to all the medal winners from the UK and the ROW. A particular well done to our Equestrian medal winners, SUPERB! 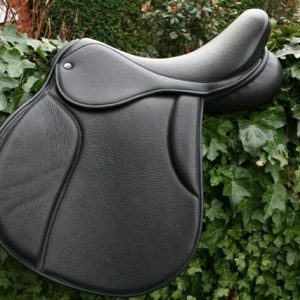 Designed over the last year and extensively tested for fit, comfort for horse and rider, durability and looks, the Olympia’s single flap design enables very precise, close contact, of the rider’s leg with their horse. 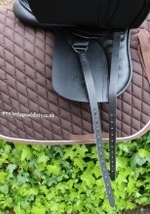 With the mono flap design the level of contact with your horse and it’s subtle movements are enhanced. Creating a feeling of “Oneness with ones horse”. – Deeper/shallower Blocks can be re-designed for your needs, for £50 extra. 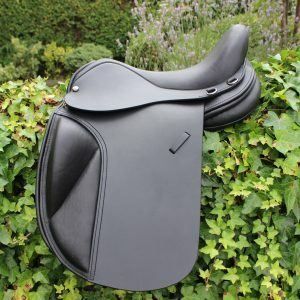 – We build our dressage saddles with wide, woolen flocked panels and wide gullet channel to enable the horse to swing through his back. This, as we are sure you are aware, improves engagement hugely. – Colours are black and dark havana and in 2Tone BL/BR. 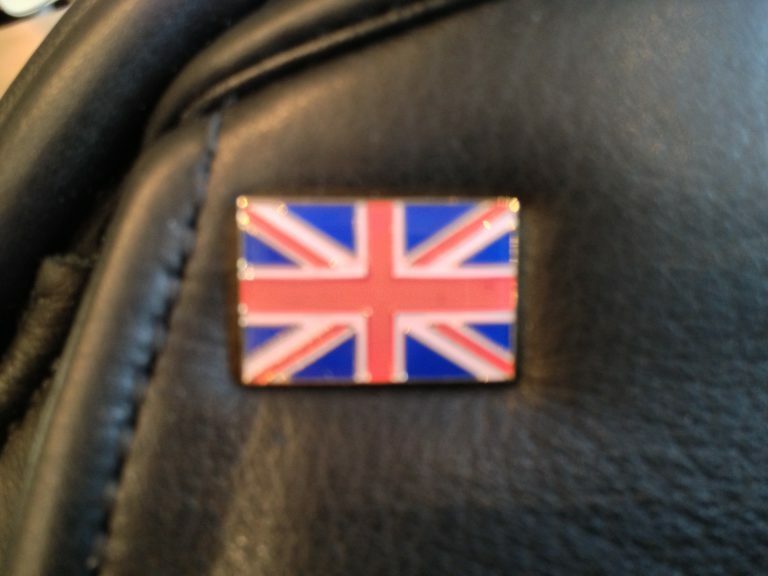 – Union Jack flag shaped headnails as norm, but we have other options too if preferred. – £975 off the peg build or £1,050 Fully custom/bespoke built. 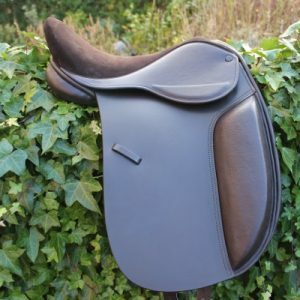 Stunning saddles that are perfectly balanced to help you and your horse attain their full potential. Decades of thought and design have gone into the Woolen flocked panels. 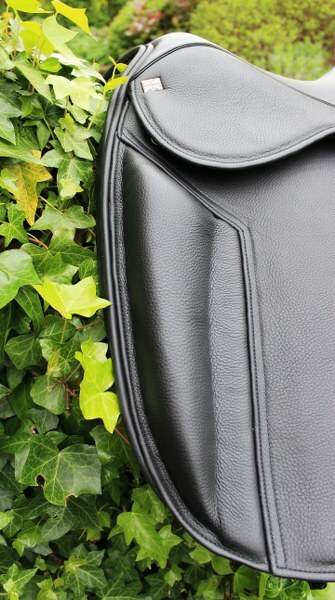 Our saddles fit because we understand the needs of each horse and rider. 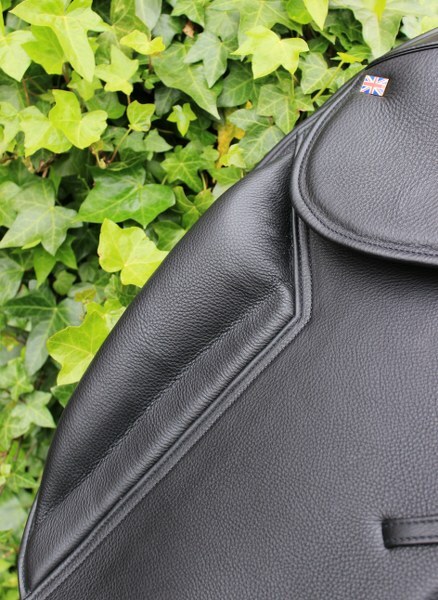 Every saddles panel is individually cut and stuffed according to each horses conformation. All our saddles trees are wooden, English, spring trees that can be made wider or narrower as your horse developes. Various tree depths on request. 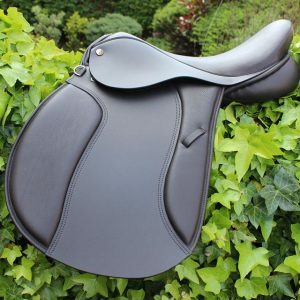 Heritage Custom Made Saddles are simply “Unique Saddles for Unique Horses”. 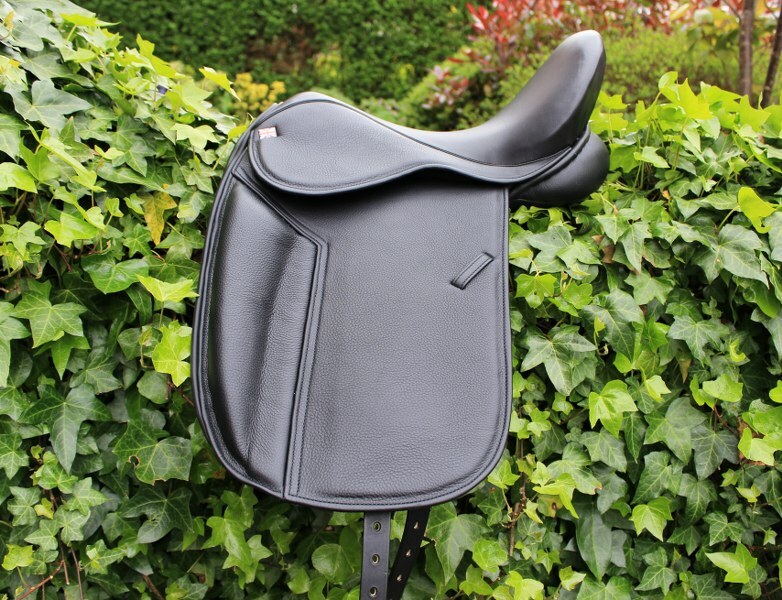 We can design an eventing package to suit each horse and rider from your choice of any two of the Dressage and jumping saddles in the Heritage range. 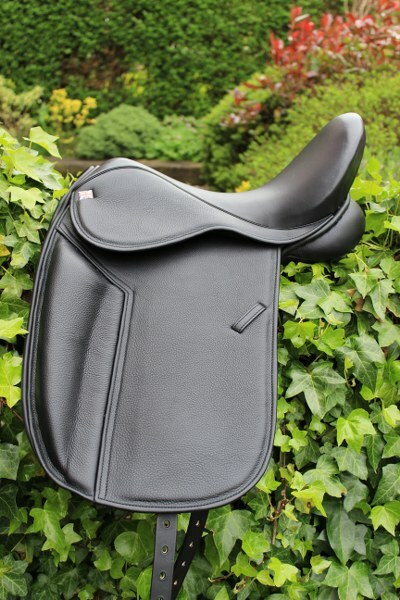 Just one of the saddles in our Dressage range and another stunning high quality 100% English Saddle.